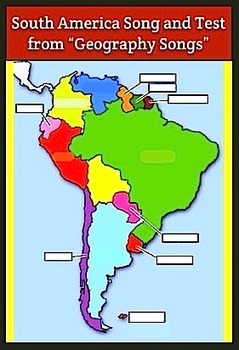 South America Song Video/Movie mp4 by Kathy Troxel from "Geography Songs"
Learn the names and locations of all the countries of South America. Then take the test. MP4 works on most devices: smart board, iPad, tablet, computer, TV screen, etc.